A recent study by researchers at East Tennessee State University sheds new light on the relationship between maternal physical activity and the cardiovascular health of Hispanic children. Dr. 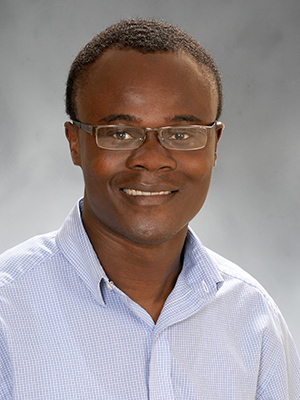 Basil Alhassan, an alumnus of ETSU’s Doctor of Public Health in Epidemiology program, has published an article in PeerJ that discusses the relationship between maternal physical activity and body mass index (BMI) and blood pressure, physical activity and BMI in Hispanic preadolescents. Drs. Ying Liu, Deborah Slawson, Jonathan Peterson and Arsham Alamian, faculty in the ETSU College of Public Health, are co-authors. Additional co-authors include ETSU faculty members Dr. Jo-Ann Marrs of the College of Nursing and Dr. William A. Clark of the College of Clinical and Rehabilitative Health Sciences. “Studies have shown physical inactivity, elevated blood pressure, and being overweight or obese track from childhood to adulthood and increase the risk of cardiovascular diseases, such as heart disease and stroke,” Alamian said. “We’ve also seen a correlation between maternal obesity and physical inactivity and obesity and inactivity in older preadolescents. The researchers, led by Alamian, chair of the APPalachian Obesity and METabolic Diseases (APPOMET) Working Group at ETSU, used data collected from 118 Hispanic children enrolled in a metabolic syndrome study in Johnson City. The investigators determined that about four out of every 10 preadolescents were overweight or obese and about three out of 10 had elevated blood pressure. This study also found that preadolescents of obese mothers were 6.47 times more likely than preadolescents of mothers with normal BMI to engage in less than three days of at least 60 minutes of vigorous physical activity per week. Compared to preadolescents whose mothers engaged in moderate physical activity, children whose mothers did not engage in moderate physical activity were 2.92 times more likely to engage in less than three days of physical activity per week and were 2.5 times more likely to have elevated blood pressure. The prevalence of elevated blood pressure among Hispanic preadolescent subjects, especially in 2- to-5- year-olds (45.7 percent) was higher than estimates from national studies. “The findings suggest the need for public health interventions that would encourage mothers to increase physical activity and improve weight control as a means for reducing obesity and hypertension in Hispanic preadolescents,” the authors concluded. Dr. Megan Quinn is no stranger to leading students in real-world epidemiological training experiences outside the United States. In the past, she has taken groups to Nicaragua for summer projects; however, ongoing political unrest in Nicaragua called for a change in locale for this summer's experiential training. Instead, the group traveled to Punta Gorda, Belize, to partner with Hillside Healthcare International (HHCI). HHCI is a faith inspired, non-profit organization dedicated to providing health care and disease prevention to the people of Southern Belize. In addition, the group offers "cuturally-rich educational rotations for medical, nurse practitioner, physician assistant, pharmacy, physical therapy, and public health students that challenges them to better understand their role in international health care." While in Belize, students participated in a number of outreach and epidemiological projects among the local population. These included implementing tuberculosis education, creating a diabetes management patient tracking tool and data entry guide, quality improvement projects for the public health depratment, working with mobile clinics, and administering an HIV survey. Dr. Quinn is an Associate Professor in the Department of Biostatistics and Epidemiology in the College of Public Health where she also serves as the Coordinator for Global Health Initiatives. She manages a number of roles within her department. She also teaches several graduate-level classes, including Infectious Disease Epidemiology. In addition, she is a member of the Center for Excellence in Inflammation, Infectious Disease, and Immunity. Dr. Mildred Maisonet Nogueras, Assistant Professor in the Department of Biostatistics and Epidemiology in the East Tennessee State University College of Public Health, has received an R03 grant from the National Institute of Environmental Health Sciences of the National Institutes of Health to study prenatal exposure to endocrine disrupting chemicals and anti-müllerian hormone concentrations in female adolescent study participants. The reproductive lifespan of the woman is largely determined by factors that regulate the number of follicles laid down during fetal development and their subsequent degeneration rate during adult life. Of concern is a possible role of endocrine disrupting chemicals in dysregulating the number of follicles or in promoting depletion of the follicle pool. Endocrine disrupting chemicals have been detected in human ovarian follicular fluid. In addition, concentrations of certain types of these chemicals detected in cord blood and amniotic fluid from pregnant women suggest human fetal exposure and the possibility of follicular alterations beginning at an early developmental stage. To date, the literature assessing potential human effects of exposure to environmental endocrine disrupting chemicals on markers of ovarian reserve, such as anti-müllerian hormone, is sparse. The goal of the project is to contribute to current knowledge by conducting secondary analysis of data collected in female adolescents participating in the Avon Longitudinal Study of Parents and Children to assess the association of prenatal exposure to perfluoroalkyl sulfonate and organochlorine pesticides with anti-müllerian hormone concentrations. Dr. Maisonet Nogueras and her team will also assess temporal changes in hormone concentrations in relation to these exposures. The Avon Longitudinal Study of Parents and Children is a population-based, birth cohort with a long follow-up period and extensive data collection including the assessment of clinical measures in a large subset of participants. Results of the proposed study will address the rather sparse, existing evidence and support the development of new hypothesis. Ifeoma Ozodiegwu will present her research poster, titled “Socioeconomic status and overweight in low-income countries: A case study of the modifying role of education on the association between household wealth and overweight in Mozambique,” during the meeting’s Student Poster Session scheduled to take place later this year. The session is sponsored by the Delta Omega Honorary Society in Public Health through the Academic Public Health Caucus. 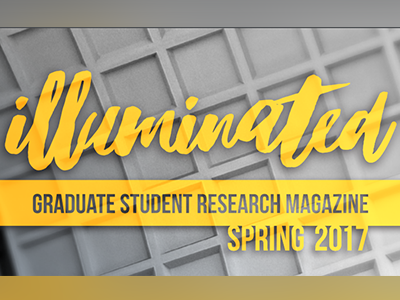 Delta Omega hosts a national student poster session honoring exceptional student research. Each year the selected students are given the opportunity to present faculty nominated research at the APHA annual meeting. Participants are awarded a cash prize and certificate. Ozodiegwu is one of just 29 students selected to present her scholarship and research at the APHA meeting in San Diego. An international student from Nigeria, Ozodiegwu just completed her third year in the doctor of public health program where she is concentrating in epidemiology in the Department of Biostatistics and Epidemiology. She holds a master of public health degree from ETSU and a bachelor’s degree in applied biochemistry from Enugu State University of Science and Technology in Nigeria. Earlier this year, Ozodiegwu was awarded the inaugural Sherrod Library Graduate Student Scholarship for Excellence in Research at ETSU. She received the award for her paper addressing the relationship between maternal obesity and neonatal mortality in sub-Saharan Africa. The Department of Biostatistics and Epidemiology honored its students at two award ceremonies during April 2018. The first was the Annual ETSU College of Public Student Award Ceremony on April 6, 2018 and the second was the ETSU School of Graduate Studies Awards Ceremony on April 18, 2018. Human exposure to environmental contaminants is common. While studies demonstrate that some people may be at higher risk of exposure than others, everyone is exposed to some degree. East Tennessee State University epidemiologist Dr. Mildred Maisonet will discuss this critical issue in a free public lecture on Wednesday, Jan. 31. “Environmental Contamination and Human Health: Does It Matter?” is the fifth talk in the 2017-18 “Women on Wednesdays” lecture series sponsored by ETSU’s Women’s Studies Program. It will begin at noon in the presentation room of the Multicultural Center, located on the second level of the D.P. Culp University Center, and a light lunch will be provided. Maisonet, an assistant professor in ETSU’s College of Public Health, will discuss the current research on environmental contamination and human health. She will highlight how and why some people are more vulnerable than others to environmental health risks and provide useful strategies for minimizing those risks. 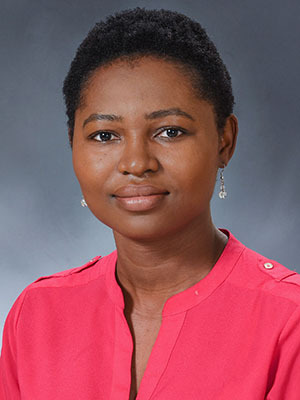 Prior to joining ETSU in 2014, Maisonet completed her doctoral degree in epidemiology at the Johns Hopkins Bloomberg School of Public Health. In addition to her work at ETSU and Johns Hopkins, she has worked at the Centers for Disease Control and Prevention, the Rollins School of Public Health in Atlanta and the University of Oulu Faculty of Medicine in Finland. Her research specialties include fetal origin of disease and children’s environmental health. The “Women on Wednesdays” series is designed to raise awareness about the research, scholarship and community engagement that women at ETSU are doing; to provide a venue where women on campus and in the community can discuss and support each other’s work; and to give students an opportunity to meet faculty who could become mentors for their studies. For more information, call Dr. Phyllis Thompson, director of ETSU Women’s Studies, at 423-439-4125. For disability accommodations, call the ETSU Office of Disability Services at 423-439-8346. Dr. Liang Wang, Associate Professor in the Department of Biostatistics and Epidemiology, has published an article in BMC Public Health as the co-first author. The article, “Fast food consumption and its associations with obesity and hypertension among children: results from the baseline data of the Childhood Obesity Study in China Mega-cities”, assessed how Western and Chinese fast food consumption as well as maternal factors effect childhood obesity. Dr. Wang’s research team collected data for The Childhood Obesity Study in 2015 from Beijing, Shanghai, Nanjing, and Xi’an. This study analyzed data from 1626 students aged 7-16 and their parents. Results showed that, overall, 11.1% of the children were obese, 19.7% had central obesity (as defined by waist-to-height ratio (WHtR) ≥ 0.48), and 9.0% had hypertension. Over three months, 51.9% of children consumed Western fast food while 43.6% of children consumed Chinese fast food. Analyses showed that children whose mother had elementary school level of education or below were more likely to consume western fast food. Authors also found that, when running two models adjusting for Western then Chinese fast food consumption, maternal body mass index was positively associated with child obesity, central obesity, and hypertension. Results from this study may assist in the creation of regional and national health care policies and school-based programs to help fight obesity. More details can be found at https://www.ncbi.nlm.nih.gov/pubmed/29212483. Other authors on the article include Yaling Zhao and Youfa Wang from Xi’an Jiaotong University Health Science Center, Hong Xue from Virginia Commonwealth University, and Huijun Wang, Chinese Center for Disease Control and Prevention. This study was funded in part by the National Institute of Health. BMC Public Health is an open access, peer-reviewed journal that considers articles on the epidemiology of disease and the understanding of all aspects of public health. The journal has a special focus on the social determinants of health, the environmental, behavioral, and occupational correlates of health and disease, and the impact of health policies, practices and interventions on the community. Gabrielle Caldara, Heather Owens, Ifeoma Ozodiegwu, and Elaine Loudermilk, graduate students in the Department of Biostatistics and Epidemiology, along with Dr. Jill Stinson of the Department of Psychology and College of Public Health alumna Kathleen Collins, are co-authors. Project Hope United Kingdom’s Thoughtful Path Program in Munsieville, South Africa was integral to the success of the project. Adverse childhood experiences research based in the United States demonstrates that traumatic stress in childhood can cause negative physical and mental health outcomes. Many developing countries lack extensive research and comprehensive data on exposure to childhood trauma. The World Health Organization ACE international questionnaire (ACEIQ) highlights multiple types of abuse, neglect, and violence while broadening the definition of traumatic stress to include more globally relevant concerns. The goal of the research project was to modify the questionnaire to use culturally appropriate questions and terminology for Munsieville, an undeveloped township in South Africa. Without adapting the questionnaire to use culturally appropriate questions and terminology, respondents may not have been able to provide appropriate responses. After meeting to focus groups to modify the survey, it was given to local stakeholders for review and approval. The pilot study demonstrated that the modified questionnaire provides a comprehensive, and culturally appropriate, measure of childhood trauma, leading to increased community participation during a survey conducted in early 2017. Dr. Ying Liu, Assistant Professor in the Department of Biostatistics and Epidemiology in the East Tennessee State University College of Public Health, has published a research brief for the Centers for Disease Control and Prevention regarding diabetes among the United States veteran population. The brief, “Prevalence of and Trends in Diabetes Among Veterans, United States, 2005–2014,” examined data from five cycles of the US National Health and Nutrition Examination Survey. Drs. Kesheng Wang, Shimin Zheng, and Liang Wang from the Department of Biostatistics and Epidemiology along with Dr. Ying Li of the Department of Environmental Health in the College of Public Health are co-authors. Sonica Sayam of University of Maryland and Xiaonan Shao of Carnegie Mellon University are additional co-authors. Diabetes was the seventh leading cause of death in the United States in 2013. Approximately 30.3 million Americans had diabetes, including an estimated 7.2 million who had the disease but had not received a diagnosis. The disease is more prevalent among US veterans, who make up 9% of the civilian US population, than among the general population and affects nearly 25% of US Department of Veterans Affairs patients. NHANES obtained representative samples from 50 states and the District of Columbia. Veteran status was self-identified through participant household interviews. The number of veterans interviewed ranged from 472 to 685 for each cycle from 2005 through 2012. The researchers found the prevalence of diabetes in veterans in 2013–2014 was 20.5% and the prevalence of undiagnosed diabetes was 3.4%. Diabetes was most prevalent among veterans aged 65 years or older (27%), among male veterans (22%), among veterans with less than 12 years of education (33.5%) and among veterans with an annual income below the federal poverty line (23.8%). The team concluded that effective prevention and intervention approaches are needed to lower diabetes prevalence among US veterans and ultimately improve their health status. HealthDay and Endocrine Today featured the team’s research in separate media releases. Dr. Arsham Alamian has been re-elected to the Governing Council. The Governing Council is the representative legislative body of the American Public Health Association (APHA). It consists of voting and nonvoting members who represent different constituencies within APHA. Voting members include: at least two elected representatives of each Section (Dr. Alamian will represent the Epidemiology Section) and an additional number of representatives from the unaffiliated membership; one representative designated by each (state or regional) Affiliated Association; the officers of the Association; the chair of the Intersectional Council, the chair of the Council of Affiliates, and chair of the Student Assembly; the elected members of the Executive Board; and three elected representatives and the immediate past chair of the Student Assembly. Establish policies for the Association and for the guidance of the Executive Board and the officers; amend the Bylaws of the Association and to adopt rules for the conduct of its own business. Receive and act upon reports or recommendations from any organization constituent, the Science Board, the Action Board, the Education Board, the Standing Committees and the Executive Board. Elect the Executive Board, the officers of the Association, and honorary members. Establish Sections of the Association; combine or discontinue Sections; prescribe the composition of the Section Councils; maintain coordination among the Sections; and formulate general rules governing their policies; and recognize Affiliates Associations. Detection of Risk Factors and Trends of Oral Health among U.S.
Dr. Ying Liu, Assistant Professor, Department of Biostatistics and Epidemiology was a recent recipient of a grant titled, Detection of Risk Factors and Trends of Oral Health among U.S., from the East Tennessee State University, Research Development Committee. The funds will allow Dr. Liu to secure the NHANES database and support data analysis. While oral health disparities continue to serve as a major health-related threat for a large number of individuals in the U.S., the available evidence would strongly suggest that problems faced by U.S. veterans in this area are currently among the most severe. The objective in this study is to identify those U.S. veterans at greatest risk for oral health issues. The study will utilize data from the National Health and Nutrition Examination Survey (NHANES). To address the critical needs for oral health in U.S. veterans, the planned specific aims are as follows. Specific Aim #1: Determine temporal changes in the oral health status of U.S. veterans. Specific Aim #2: Identify key risk factors that predict oral health problems in U.S. veterans. At the completion of this research, Dr. Liu’s expectation is to have identified key risk factors that predict oral health status and temporal changes of oral health status in U.S. veterans. These results can ultimately be expected to have a significant positive impact on development of cost-effective interventions to improve the oral health among U.S. veterans. The successful completion of this project will also provide better targeting of available resources and monitoring of veterans’ oral health status, and aid in developing policies to improve the oral health of U.S. veterans, a too often neglected population. Abraham Alhassan, Doctor of Public Health graduate with a concentration in Epidemiology, and Dr. Arsham Alamian, Assistant Professor in the Department of Biostatistics and Epidemiology, have studied the prevalence of cardiovascular risk factors in the investigation of metabolic syndrome among Hispanic children in Johnson City, TN. For his dissertation, Abraham focused on three topics that influence health outcomes: diet, sociodemographic factors and biomarkers to examine their association with cardiovascular diseases among Hispanic children. Abraham graduated Spring 2017 and is pursuing a career in public health practice.